Need a quick way to say Happy Holidays? LEGO.com has got you covered. 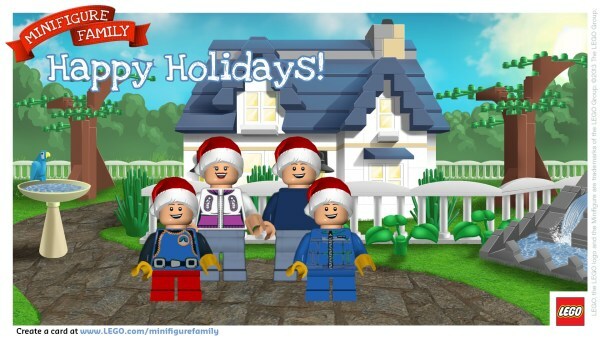 On their site, you can create a mini-figure family to spread some Christmas cheer. It's totally FREE and you can download your custom creation and send it to as many people as you want to. Here's my personalized card. Merry Christmas from my LEGO family to yours! I kept my card pretty simple, but you can make it as personalized as you want with different tops, bottoms, skin colors, facial expressions and hats. 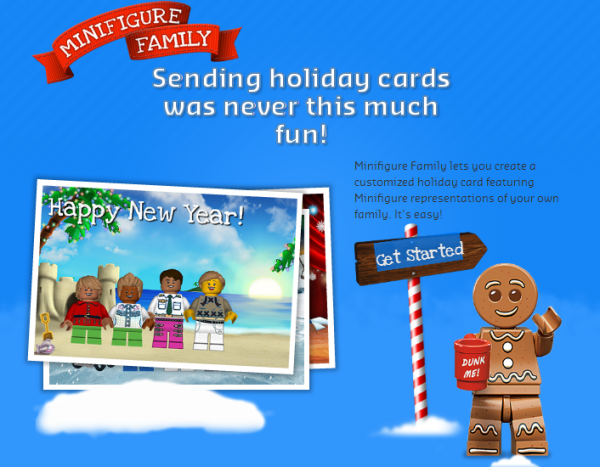 Just click on the image above to go to LEGO Minifigure family holiday web page.